Distribution: Widely distributed throughout Washington; southern British Columbia south to California, east to western Montana and New Mexico. Habitat: Valley bottoms and open slopes where not too dry, from near sea level to moderate elevations in the mountains. 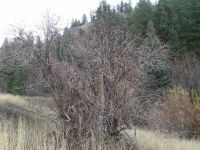 Coarse, deciduous shrub 2-4 m. tall, usually with several stems from the base, the twigs soft, glaucous and pithy. Leaves opposite, petiolate, pinnately compound, with 5-9 lanceolate to lance-ovate, acuminate, sharply serrate leaflets 5-15 cm long and 2-6 cm. wide, usually glabrous. 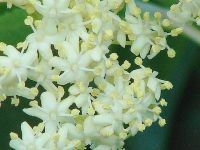 Inflorescence a flat-topped, many-flowered umbel up to 20 cm. wide, with several rays from the base that are again branched; flowers creamy-white, 4-7 mm. 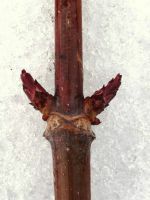 across, the 5 corolla lobes longer than the flat tube; stamens 5; style very short, ovary inferior. Fruit a globose berry, 4-6 mm. thick, bluish-black, but with a dense, pale, powder-blue bloom. 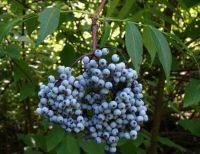 PNW Herbaria: Specimen records of Sambucus nigra in the Consortium of Pacific Northwest Herbaria database. 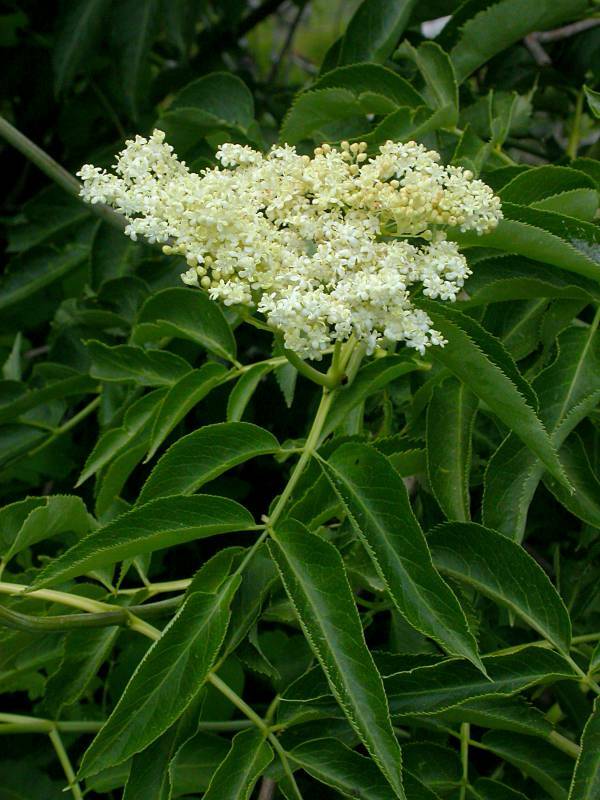 WA Flora Checklist: Sambucus nigra checklist entry. 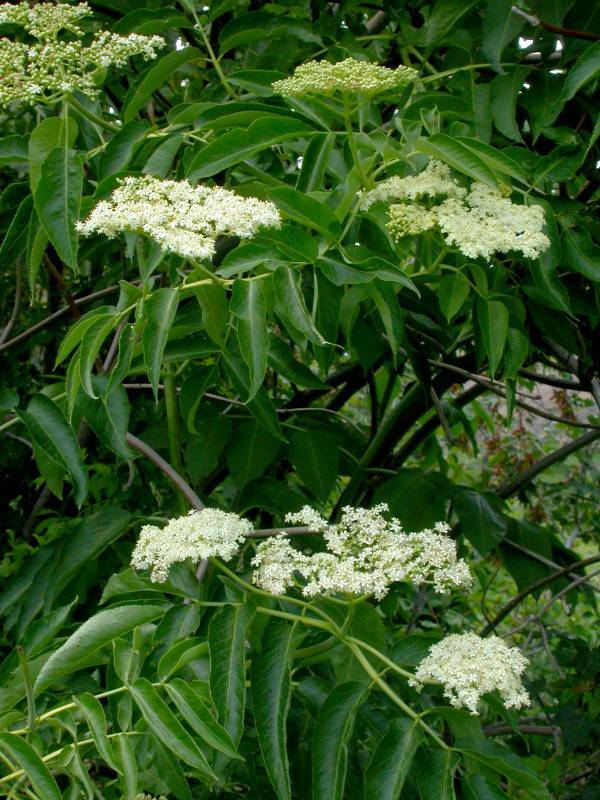 E-Flora BC: Sambucus nigra atlas page. 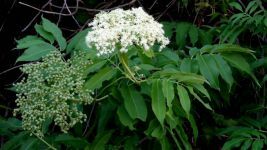 USDA Plants: Sambucus nigra information.